It won’t have escaped your notice that bees all around the world have had a hard time of things, certainly over the last 15 years anyway. In fact declines in bee colonies have been in evidence since the 1960s but the most significant changes have occurred between 1998 and the present. Bee colonies play a key role in pollination of many plant species and of the 100 top food crops they are responsible for the pollination of over 70. Worldwide the economic value of bee pollination is estimated to be some £130 billion annually. A lot of research continues into the causes of bee decline covering areas such as pesticides, environment, viral, bacterial and pest predation among others. In the UK bee populations have fallen by some 60% after the verroa mite entered Britain in 1992. 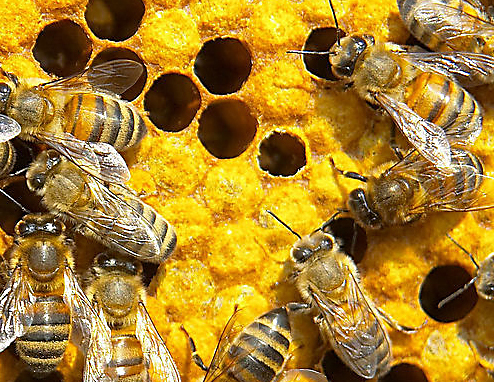 An interesting development has been the work done by a British bee keeper Ron Hoskins in Swindon who over the last 18 years has discovered a strain of bees that groom each other to rid them selves of the mites before the mites actually do any harm. 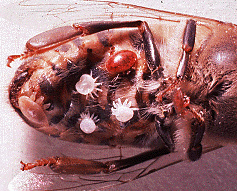 Work is now proceeding to cross-breed mite resistant queens with queens from other colonies in order to spread and increase resistance amongst bee populations. This is obviously not the whole solution however everyone can play a part in helping bee populations to recover. So what can I do to help save bees? Set your lawn mower on a higher setting to ensure it doesn’t cut down flowering clover. Plant native wildflowers. These have far higher nectar content then imported species. Don’t make your garden too clinical. Leave rotting wood for bees to use as nests and winter refuge. Buy your honey from local suppliers to support British bee keepers. Only one in six jars of honey sold in the UK are from British bees. Avoid using pesticides in your garden. Spraying with diluted soap detergent is far more preferable. Plant fruit trees such as Apple, Pear, Cherry and Plum. These all bear flowers with nectar. Join local conservation projects that preserve or restore natural habitats. New colonies of bees generally need a full season to build up a large enough population to gather surplus honey. To take honey from a hive in their first season means that they will not have sufficient food to tide the colony over the winter. This reserve has to last them until flowers bearing nectar become available in the new season. The bees have filled all the frames with capped* honey [white cells]. The last major flow of nectar for the season is finished. [Variable year to year]. Honey in open cells [not capped] is known as Green honey and has a high water content creating an ideal breeding ground for yeast. It’s flavor is not generally good and it’s best left alone. Timing is crucial. Leave harvesting too late and you risk the bees eating the honey after the last nectar flow or the weather and temperature turning too cold. This makes extraction difficult and honey has a tendency to granulate under theses conditions. Approaching the hive from the rear, we puff smoke around the entrance with a bee smoker and then remove the top of the hive. Smoking the opening drives the bees lower into the hive. We then remove the inner cover. After removing any lingering bees from this area with a silky bee brush. The frames can then be lifted out carefully, shaking off any bees as necessary. The wax-sealed honeycomb is then uncapped using an uncapping knife on both sides of the frame. The frame is then placed into a honey extractor and spun. This forces the honey to the walls of the drum where it simply drips to the bottom and through a spigot where it is strained through layers of cheesecloth to remove impurities, wax and other debris. The last step is simply to bottle the honey using sterilised jars. 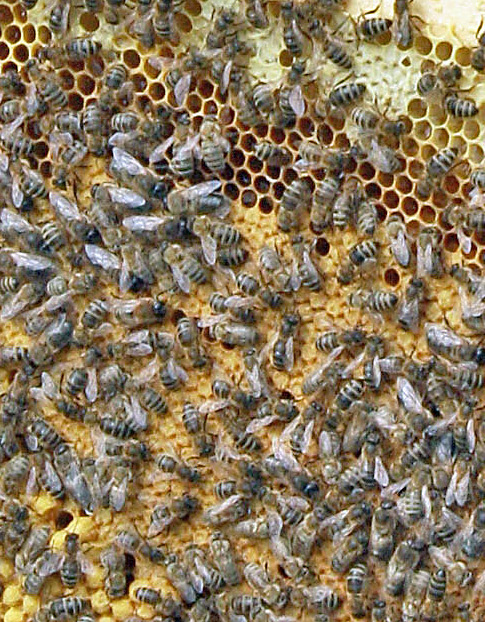 Top right are white capped honey cells. Middle are Worker cells and bottom left Drone cells.